Horror films are often resistant to criticism, either because the genre as a whole isn’t particularly highly regarded by “serious” critics or because many horror films are low-budget, poorly produced shock films that look to deliver on their implicit promise of graphic violence rather than creating a quality movie. And 2017 has been no different in this regard than most: plenty of terrible horror films have come out this year that barely meet the expectations of being a “movie” in general. Horror films like The Bye Bye Man and Rings were not just disappointing but outright terrible. But these shouldn’t color the horror genre as a whole: horror films have a great potential to produce captivating fiction that keeps the audience riveted to the screen while also having the freedom to portray concepts that would otherwise seem out of place in most films. 2017 is proven to be the biggest year in horror history, there have been some good–even great–horror film released this year. Let’s take a look at 10 of the best horror movies of 2017 so far. The crew of the International Space Station captures a probe returning from Mars that may hold proof of extraterrestrial life. However, they are shocked to find a cell taken from sample grows into a more complex living organism. What’s worse, this new life form is hostile and quickly begins to grow in size and ferocity with every other organism it consumes–including the crew members. Trapped on the space station and now out of communication with Earth, the crew must defend themselves before this organism–named Calvin in an initially cutesy contest for school kids back on earth–destroys them all, and even worse finds its way to Earth. A sort of space-age Blob, the alien organism is a good concept for a monster–especially since its entire existence is based on the thing keeping the crew alive, the oxygen supply in the space station. Heightening the suspense by having the ISS begin to fall out of orbit and the crew being literally stuck in closed quarters, Life is a fine mix of The Thing and Aliens, with an unknown entity whose only goal is to survive while the crew soon realizes the only way to save Earth is to sacrifice themselves and push the station into deep space. With a solid cast (including Jake Gyllenhaal and Ryan Reynolds) and a truly horrifying premise that’s pulled off with style and affecting suspense, Life is the kind of unnerving science fiction horror film that another certain sci-fi horror film this year (Alien: Covenant) should have been but wasn’t. It’s rare when a sequel (which serves as a prequel) is actually an improvement on the original movie (which itself was a prequel to The Conjuring), but Annabelle: Creation managed to build upon the previous film and deliver a more finely tuned supernatural horror film in the process. Taking place largely in 1955, 12 years after the daughter of a dollmaker and his wife died, when they decide to open their home to a nun and a group of orphans who have been left homeless after the orphanage’s closure. However, the dollmaker’s possessed doll, Annabelle, sets its sights on two of the orphans to possess them and take over their bodies. Atmospheric and eerie, Annabelle: Creation uses the premise that freaky-looking dolls are deeply unsettling and wrings it dry for every potential scare. 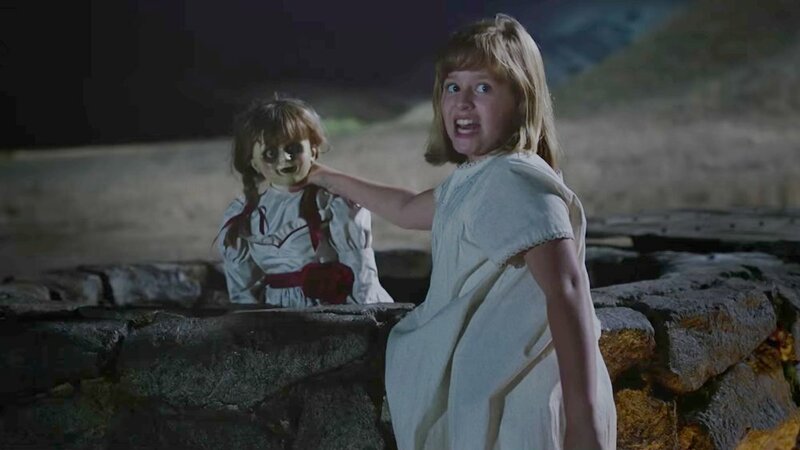 Utilizing the familiar tropes of supernatural horror films to great effect, Annabelle: Creation was a huge commercial success, proving that a horror franchise can actually get better as it goes along. A young college student wakes up on her birthday after a wild party the night before. She goes through her day callous and dismissive of everyone around her and engaging in an ongoing affair with her professor until she is brutally murdered that evening. But she wakes up the next day–her birthday–and realizes the day is repeating itself. She’s murdered again that night but wakes up the next day–her birthday–and it begins to sink in that she’s trapped in a temporal loop that may only be broken if she figures out who her murderer is and kill them before they kill her. Happy Death Day has been described as “Groundhog Day meets Scream,” and it’s a fairly apt comparison. With a clever premise and an interesting mixture of genres–comedy, campus satire, horror, and sci-fi–Happy Death Day is a step ahead of most familiar horror films that follow the “slasher is loose on campus” mold. 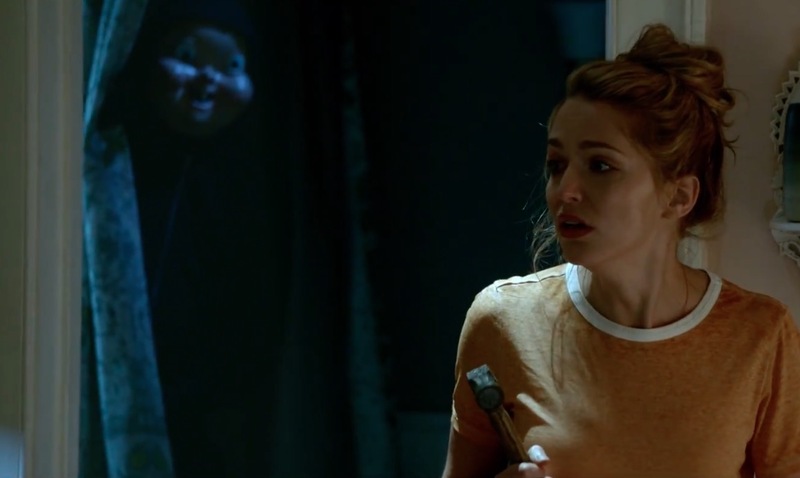 A success at the box office, raking in $56 million on its miniscule $4.8 million budget, Happy Death Day may find a bigger audience in the years to come as horror fans rediscover this sleeper gem again and again and again. 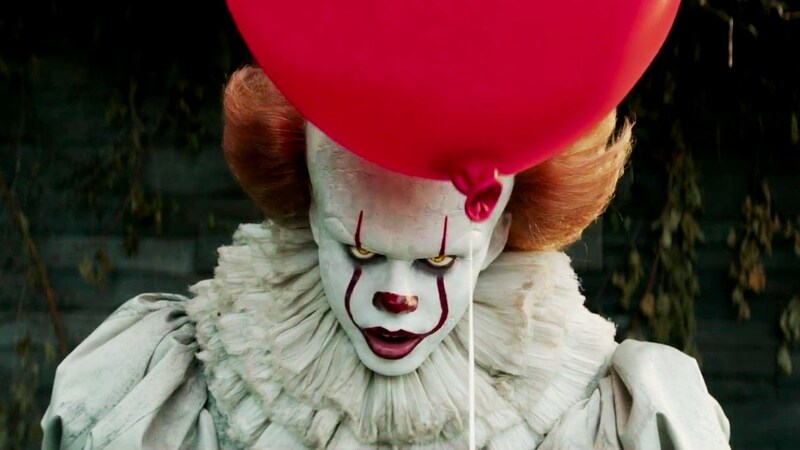 Stephen King’s work has seen at least two great adaptations in 2017: It: Chapter One and Gerald’s Game. The latter, an adaptation from King’s 1992 suspense novel, seemed to ironically be the one that would present more of a challenge to adapt. After all, much of the story takes place with only one character alone in a room, with the narrative following her thoughts as she finds herself in an increasingly harrowing situation. But Netflix adapted this skin-crawling story to great success, as Gerald’s Game keeps the pace up through stealthy editing, solid cinematography, and closely adapting a truly disturbing story. The premise alone is unsettling, but to watch it depicted on-screen–and paced as though it’s happening in real-time–illustrates how awful a situation Jesse finds herself in, especially when she begins to be visited by a disfigured man–or is he a hallucination? One of the best King adaptations in a long time, Gerald’s Game is a suspense horror film you won’t soon forget–if you have the stomach to sit through it to the end. Two high school girls do what typical teenagers do: they share selfies online, write posts detailing their day, and are wildly enthusiastic about their hobbies. But their selfies are with murderous psychopaths, their online updates stir up panic in their town about a string of murders, and their hobbies include cheerleading and taking the place of the serial killer they captured. Gleefully going about their murderous business while also reporting on their crimes online, torturing the killer they captured, and galavanting around as best friends who share a sociopathic passion for murder, the two young leads (Alexandra Shipp and Brianna Hildebrand) play their parts with energy and enthusiasm–which helps them not seem like the unrepentant killers they are. Taking its tone from tongue-in-cheek postmodern horror films like Scream and its general shape from 80’s slasher films, Tragedy Girls is inventively directed by Tyler MacIntyre, while the editing jarringly cuts from shiny happy high school moments to gross gore and dismemberment and back again. Darkly humorous, Tragedy Girls comes across like if Cher in Clueless was a homicidal maniac but the film still hummed along with the same upbeat tone as she strategizes her way through the rigors of high school in between murders. More than a little clued-in is Tragedy Girl’s self-awareness of mixing the teen high school movie genre with horror, depicting our anti-heroines as more than a little schizoid but also remembering that it’s just a movie so the audience shouldn’t take their murderous ways too seriously. Clever, weird, and deliberately on-the-nose with its horror, Tragedy Girls is an indie horror comedy delight.